attended academia de san carlos in mexico city. received his mfa from boston university. awarded a guggenheim fellowship, dedalus foundation fellowship, george and helen segal award. 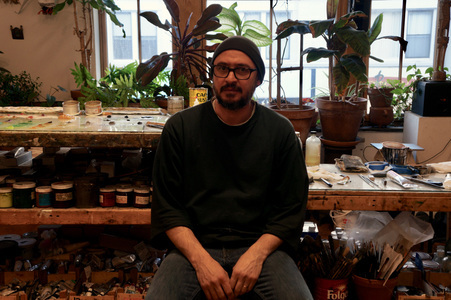 serves as assistant professor of painting and drawing at brandeis university. works and lives in boston.